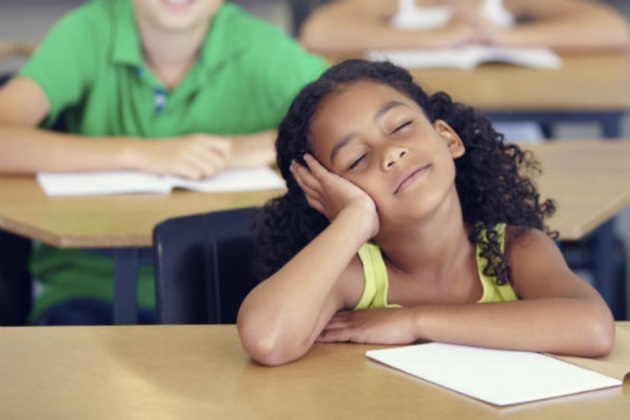 We have all experienced those moments in the classroom where our students are noticeably sleepy, overwhelmed, or beginning to get disengaged. Often, these times come when we are presenting complex information, when students have spent significant time with students in one place, or towards the end of the day when students are tired from having been focusing on learning throughout the day. For our English learners, this cognitive exhaustion may be compounded by the fact that they are not only learning a lot of new information, but also learning that information in a new language. All students, but perhaps English learners in particular, can benefit from "brain breaks," momentary pauses in learning to get refocused, motivated, and re-engaged in instruction. Many teachers are familiar with the concept or brain breaks, especially since the explosion of the "Baby Shark" challenge. "Baby Shark" is a short chant/song that students sing/perform with movement. A quick search online will yield many examples of students performing "Baby Shark." The idea behind this movement, and any brain break, is to get students up and moving, and to take a quick break from the hard work of learning. While "Baby Shark" is one example of a brain break, there are many other examples that can be incorporated with students. Some can include other content and a measure of language practice while still reducing the cognitive load for students, incorporating movement. These are fun, engaging, and motivating. Stretching can be an effective way for students to take a break by releasing tension and relaxing for a moment. By taking a short stretch break, and leading students through a short stretching exercise, you are both helping students to take a quick "brain break" and assisting students who are at the beginning proficiency levels, reviewing body parts vocabulary, verbs, directions and prepositions. Fan your hands: Stretch your arms out in front of you and spread your fingers as far apart as possible. Breathe in and out at least twice. Wing it: Sit up or stand up straight with your fingers interlocked behind your head and your elbows out. Keep your shoulders down, lift your chest, and bring your elbows back as far as you can. Reach for the sky: Raise your arms with your fingers interlocked over your head. Reach as high as you can. Listen to your body: Lower your ear to your shoulder on one side. Breathe in and out at least twice. Repeat for the other side. Knee pull: While seated, bring one knee up to your chest and hold. Breathe in and out at least twice. Repeat for your other knee. Any time we can get students up and moving around we are helping them to bring oxygen- and glucose-rich blood to their brains, which helps to nourish and stimulate their brains. I have written previously about using movement in the classroom, and there are many, many ways to get students up and out of their chairs. You might begin with some simple interaction activities in which students are to have a short discussion with someone else regarding an aspect of instruction. Rather than having students talk to an elbow partner all of the time, have students get up and meet with someone from another table. To make this more of a true brain break, have students discuss personal connections to the topic, experiences they have had, or what they find interesting, fun or exciting. Alternatively, have students discuss vocabulary or concepts that they have learned previously or are familiar. In this way you are lowering the cognitive demand for students. The addition of sentence frames or starters during these activities can also be an effective tool, especially for English learners, as they have less of a focus on developing the language that they need to share their ideas. The following ideas can be fun and engaging ways to have students meet with someone from another group. In the "Find someone who…" activity, students are instructed to find someone from another part of the room (another table group, someone two rows or more over, etc.) who fits the specific criteria assigned. For example, you might have students find someone in the room who is wearing the same color of garment, someone who has similar shoes, someone who has a similar number of siblings, or someone with the same or adjacent birth month. Choose one of these aspects and have students get up and discuss the prompt with another person. Centers are used in multiple grade levels and in various subject areas as a way to provide small group instruction to a group of students while keeping the rest of the students in the class engaged in meaningful and productive practice. When working with English learners, centers can provide opportunities to provide specific lessons to help students improve language skills, preview upcoming content, or review previously presented content. Centers can also be used as a way to help students practice content knowledge and skills, but in a way that lowers the cognitive demand. For example, have students play games in centers as a way to practice vocabulary, such as playing memory, or playing a matching game. Puzzles that depict something related to the content are another possibility, as are online games that help students practice knowledge and skills. The four corners activity is designed to get students up and moving to a specific area of the classroom. Once there, students can engage in a conversation or discussion, or do an activity. There are a number of ways to get students to the differing places in the classroom. You can assign students to a specific corner (numbering off, assigning letters or colors, etc. ), or have students choose which area they will go to. For example, you can post, in each corner or different area of the room, activities students might like to engage in, and have them go to the corner that fits them best: reading, sports, video games, family time. This activity provides students the opportunity to get up and move, and can serve as a brain break if the activity they do at one of the four corners lowers the cognitive demand of the learning they were engaged in prior to moving to that area. In this activity, students find a match based on criteria you give them. Unlike the "Find someone who…" activity, though, this activity uses a physical object such as a piece of paper with word, words, or picture printed on it. Hand out word cards, definition cards, and/or picture cards randomly so that each student in the classroom has a card that matches one or two other cards. Be sure to tell students if there is just one match or if they will be forming groups of three. They should be prepared to explain why the words, definitions, and pictures match. As an alternative, take a picture book that is familiar to students. Copy the pages, and cut the text from the pictures. Hand out the text pages to some students and the pictures to others. Students have to walk around and find the match, and discuss and prove that the two match. As an added dimension, play some music as the students walk around finding the match. In the carousel activity, a variety of charts are posted around the room. Make enough charts so that each chart will have three to five students stationed there. Students are assigned to one chart, and head to that particular chart. Once at their assigned charts, students engage in an activity. Depending on the assignment, students might look at and discuss pictures posted on the charts; answer and post responses to a question; or create a visual or graphic organizer. I have previously written about using songs and chants in the classroom as effective tools to teach vocabulary and content concepts. Songs and chants also serve as an excellent brain break. By singing a song or chant, students are switching modalities, and by having students move to where the song is posted, they also get the opportunity to move and oxygenate the brain. If the song is one that they are already familiar with and have been singing repeatedly, there will not be a high cognitive demand, and this will help to make the activity more of a brain break. However, you will still be subtly reinforcing the key content concepts and vocabulary within the unit of study. Team-building activities are another great tool for providing students a brain break from the rigorous content you are teaching, while at the same time using the brain break time as an opportunity to improve student skills. Team-building activities provide students the opportunity to get to know each other, to strengthen the bonds between students, and develop empathy for each other. There are many, many team building activities available to teachers. A quick online search of "team-building activities for students" will yield myriad websites and activities that can be incorporated meaningfully into the classroom. Any and all of these ideas can be fun ways to take a brain break and still have a focus on school, the classroom, content, academic language, and vocabulary. Because learning is hard work, and learning in a new language is even harder work, providing students the opportunity to take a break through movement, interacting with others, playing a game, or doing team-building activities will benefit your English learners on multiple levels. Other types of brain breaks can also be included, of course, but whenever possible, reinforce learning in fun and engaging ways to help students continue their journey as learners.